At Baked in Brooklyn, cookbook authors Matt Lewis and Renato Poliafito are known for playful cakes, like one based on the malt-and-chocolate flavor of Whoppers. 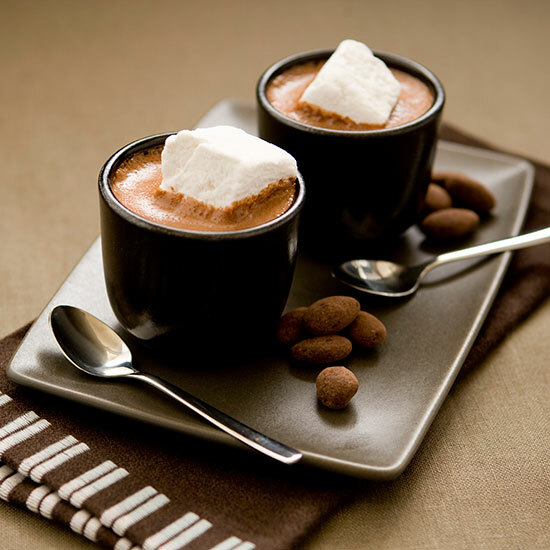 The pair obsess over the quality of the ultrarich hot chocolate served at their bakery, which combines bittersweet and milk chocolate and is topped with homemade marshmallows. 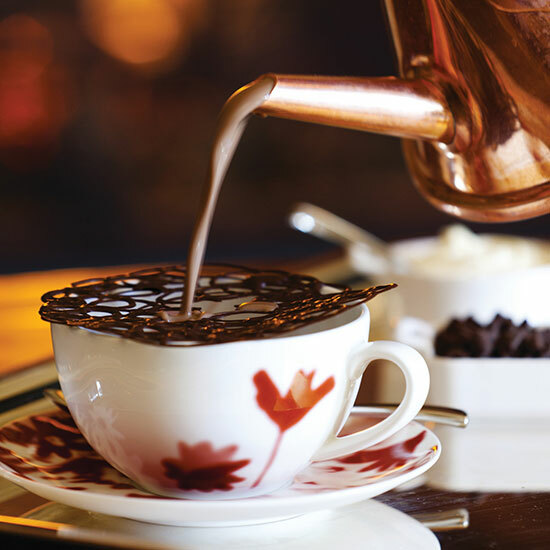 To create thick, rich hot chocolate tableside, servers at the hotel’s The Remedy Bar muddle Valrhona chocolate with hot milk, then pour the mixture over a chocolate lattice that melts from the heat of the liquid. It’s topped with marshmallows and whipped cream and served with chocolate streusel. 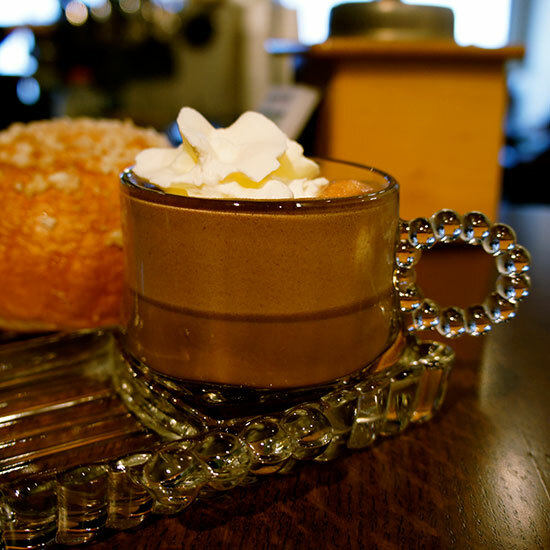 Combining the thicker weight of a Parisian chocolat chaud with the traditionally Mexican addition of cinnamon, chef-owner Annie Miler's homemade hot chocolate is a year-round favorite at her bakery-café. "I wanted something that was rich but not so overwhelmingly rich that you couldn't drink a cup of it," says Miler. F&W editors also love her creative griddled, grilled and stuffed open-face sandwiches. 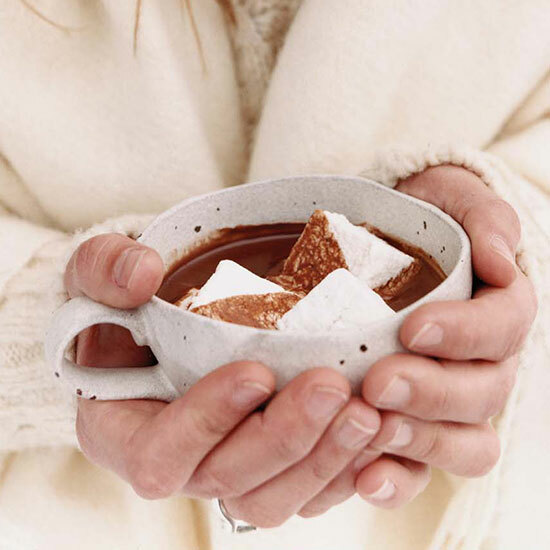 Made from pure melted chocolate bars and topped with homemade marshmallows, this thick hot chocolate is F&W editor in chief Dana Cowin's favorite version in the country. 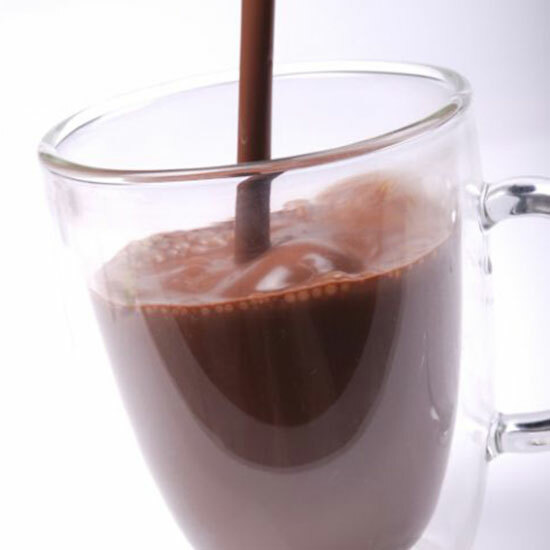 During their Annual Hot Chocolate Festival in February, the café serves a different flavor every day of the month. 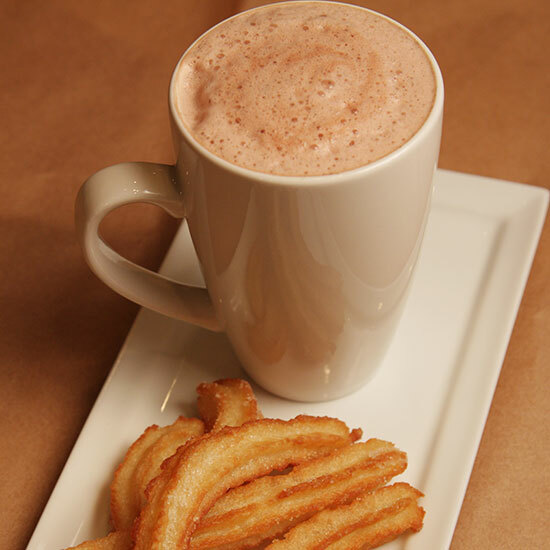 At superstar chef Rick Bayless's Mexican takeout joint, the menu includes tortas (sandwiches), empanadas and churros, which can be dipped in hot chocolate. 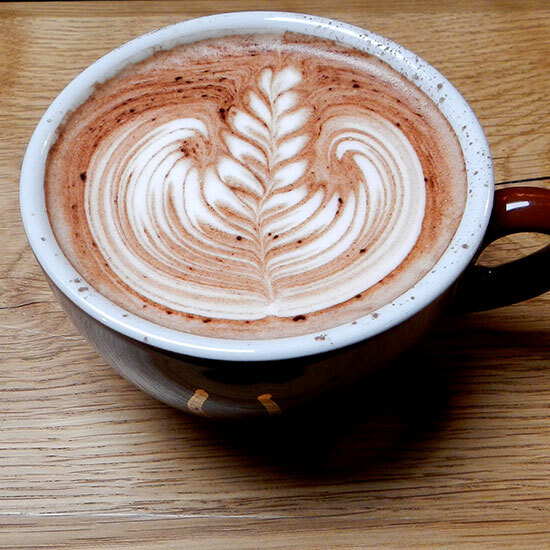 Baristas grind the cacao beans to order and foam the hot chocolate with a molinillo, a traditional wooden whisk. At her beautiful boutique, owner Kristen Hard makes amazing bean-to-bar chocolates and fun desserts like dark-chocolate-dipped orange peel. 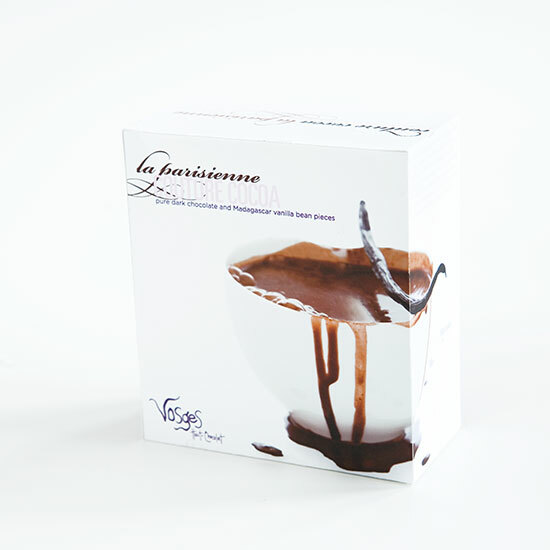 Hard infuses her superspicy dark-chocolate cocoa with six chiles and tops it with a fresh marshmallow. "We have lots of rich chocolate ganache all the time in the pastry kitchen, and our customers kept asking for hot chocolate," says Joanne Chang, pastry chef and owner of this relaxed bakery-café that has three locations in Boston. 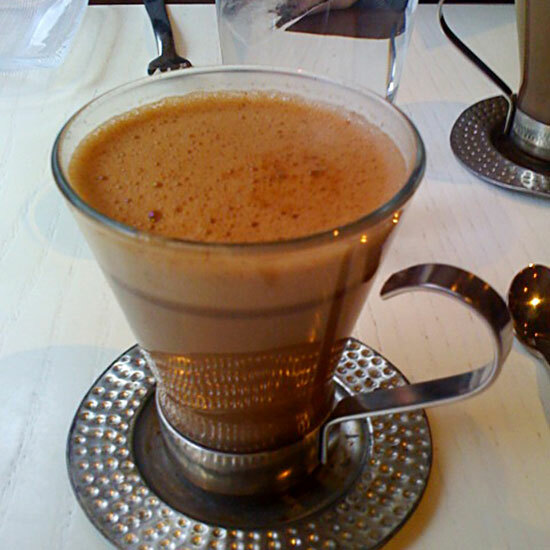 "So we scooped it into the espresso milk pitchers and steamed it with milk to make our signature hot chocolate. It’s thick and rich and really delicious." The "fiery" version gets its spicy flavor from chile powder and cayenne pepper. 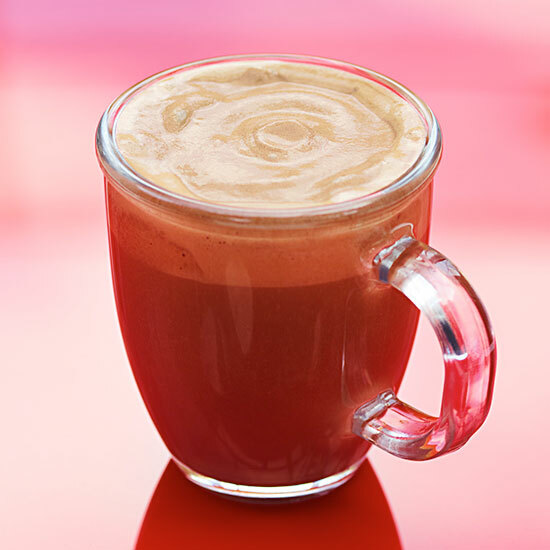 This coffeehouse specializes in espresso drinks but also serves a superb hot chocolate that combines steamed organic milk, cocoa powder and 70-percent-cacao bars handmade by Rogue Chocolatier’s owner Colin Gasko. Chef-owner Christopher Elbow worked as the pastry chef at the American Restaurant in Kansas City until demand for his chocolate petits fours convinced him to launch his own candy business in 2003. 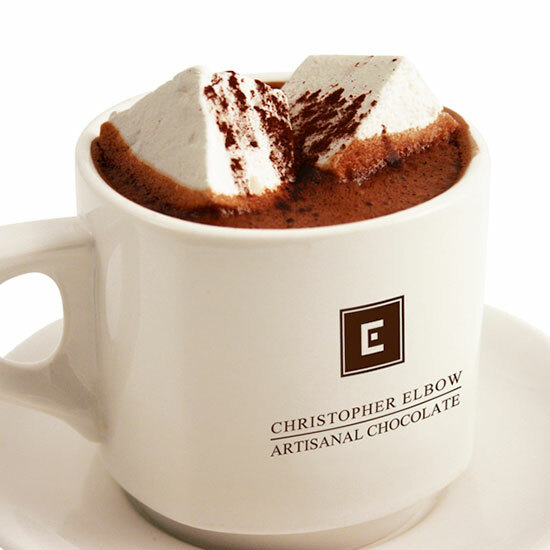 Elbow’s signature Venezuelan Spiced hot chocolate contains steamed milk, dark chocolate, nine spices (including cinnamon and cayenne), two kinds of chiles, homemade whipped cream and marshmallows. For more than 30 years, owner Fran Bigelow has been setting candy trends—she was selling miniature chocolate bars and designer truffles before they became ubiquitous. 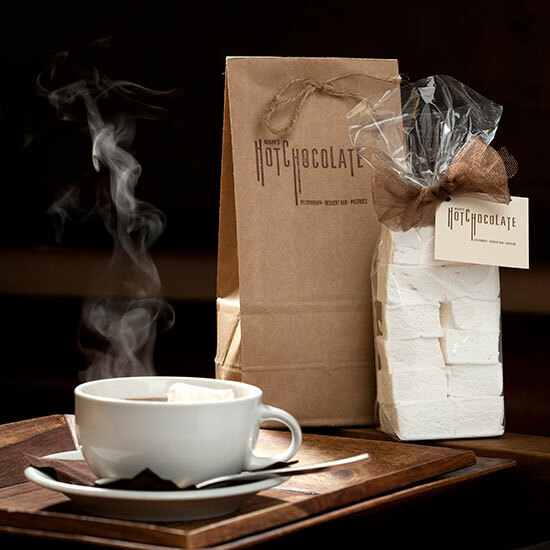 At her flagship chocolate shop in downtown Seattle, Bigelow combines steamed organic milk with dark Felchin chocolate shavings to make her signature dark hot chocolate. At their always-packed corner café, husband-and-wife team Elisabeth Prueitt and Chad Robertson make outstandingly silky Valrhona hot chocolate. 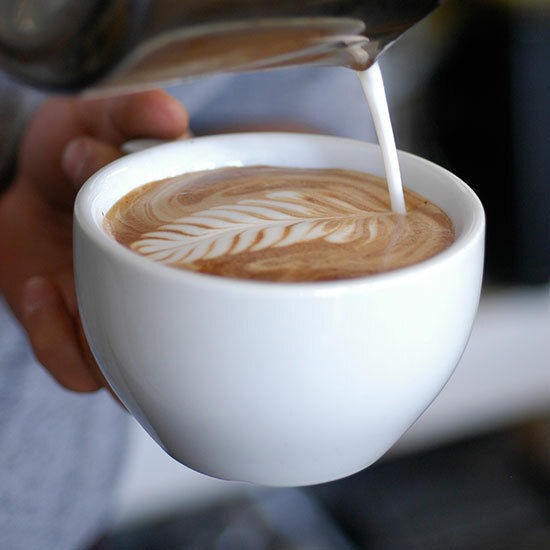 Baristas finish each cup with a delicate foam leaf design. 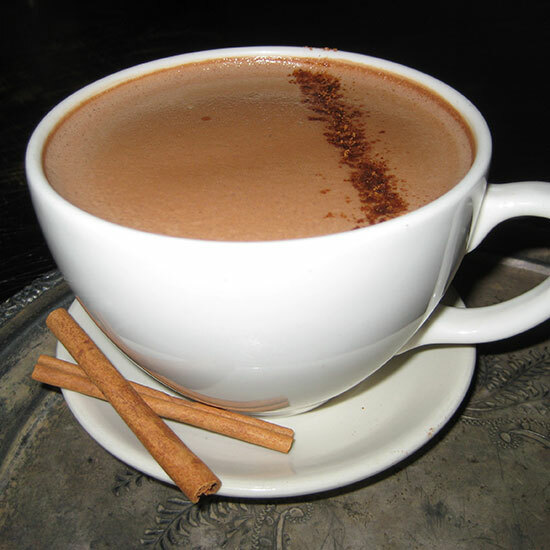 Superstar chef José Andrés’s modern Mexican restaurant sells his signature thick hot chocolate, infused with cloves, cinnamon and vanilla beans, by the pitcher. It’s the perfect accompaniment to house-made churros. 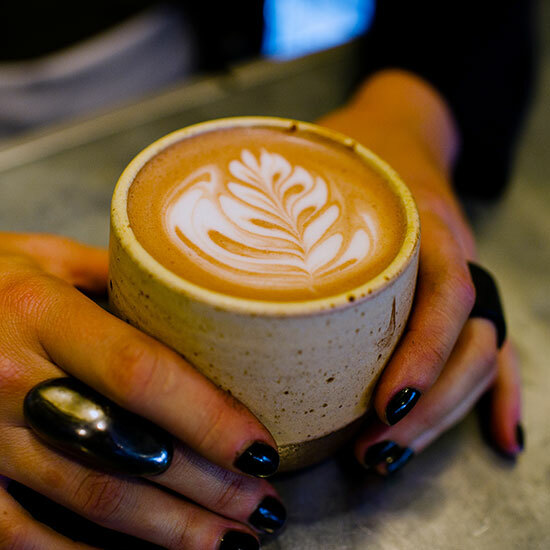 Baristas at all 11 locations of this cult coffeehouse (in Portland, Seattle and NYC) blend Mast Brothers Chocolate from Brooklyn with hot milk and sugar, then topped the hot chocolate with a puff of cocoa powder. Co-owner Lachlan Mackinnon-Patterson created a hot chocolate topped with coconut cream for his restaurant partner’s wife, Danette Stuckey, who has a sweet tooth. “At Frasca, we make a lot of desserts with chocolate or coconut, so we just kept going and came up with this drink,” he says. In addition to Scharffen Berger hot cocoa made with local Calder Dairy milk, this takeout arm of the famous Zingerman's Deli features an exceptionally intense hot chocolate special. The recipe calls for small-batch chocolate made by Mindo in nearby Dexter, Michigan. 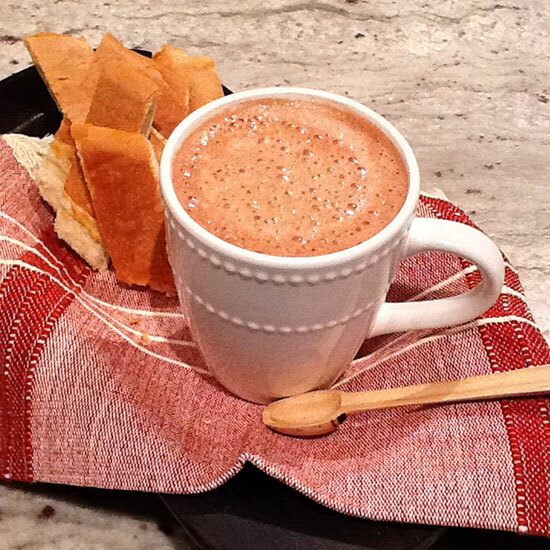 At her popular Latin-American restaurant, Zafra, Maricel Presilla—a food historian, restaurateur and author of The New Taste of Chocolate: A Cultural and Natural History of Cacao with Recipes—makes her hot chocolate with máchica, a sweetened, spiced grain blend that Ecuadorans use to enrich the texture and flavor of drinks. Spanish colonists brought this cooking technique to Ecuador from Mexico, where corn is used instead of barley. 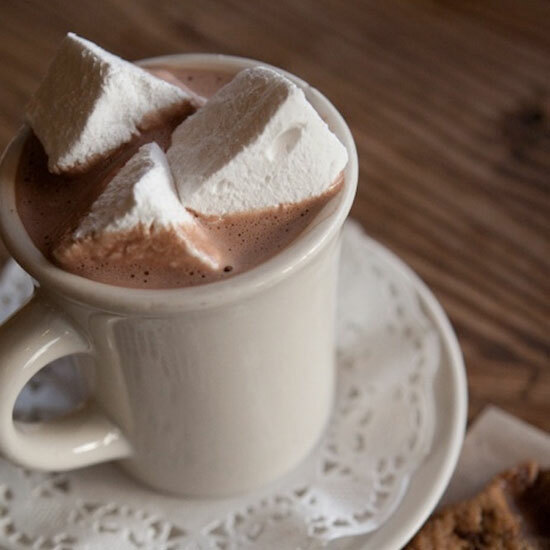 Celebrated pastry chef Mindy Segal serves eight versions of hot chocolate at her dessert bar and restaurant. Her Affogato features hot chocolate topped with a scoop of coffee-cocoa nib ice cream, instead of the traditional espresso-doused scoop of vanilla ice cream. 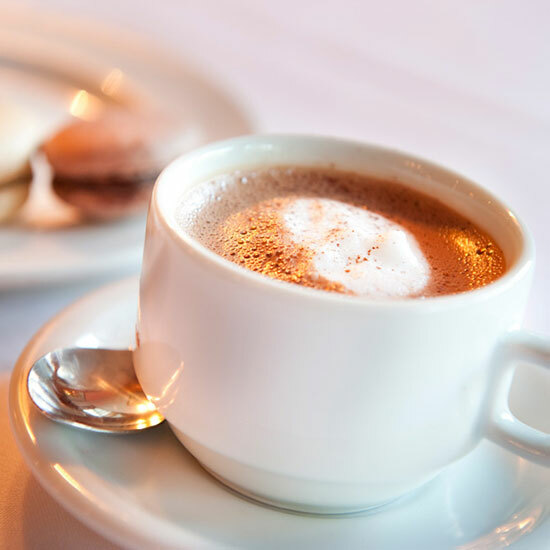 Superstar chef Thomas Keller's perfect hot chocolate has a little bit of everything: three kinds of chocolate (milk, dark and cocoa powder), whole milk and heavy cream, plus delicious hints of coriander, cinnamon and vanilla bean. Owner Katrina Markoff flavors chocolates with unexpected ingredients (curry powder, bee pollen) and packs them in boldly designed boxes. 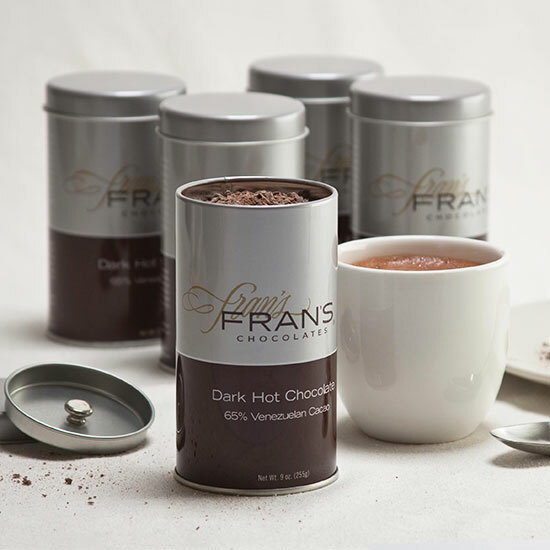 At the flagship boutique on Michigan Avenue, Markoff's most popular beverage is the superthick and bittersweet Parisian-style hot chocolate, made with dark chocolate and pieces of Madagascar vanilla beans. 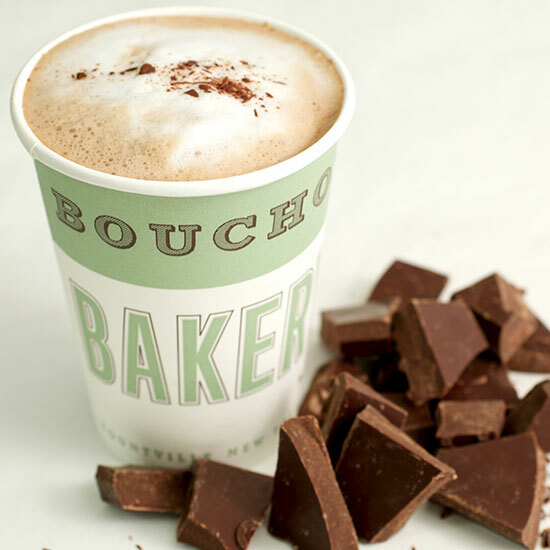 At Larry Burdick's flagship chocolate café, made-to-order drinks come iced or hot with single-origin chocolate shavings from Grenada, the Dominican Republic, Bolivia, Madagascar or Ecuador. The cheery yellow café serves the beverages at its many tables and to go. 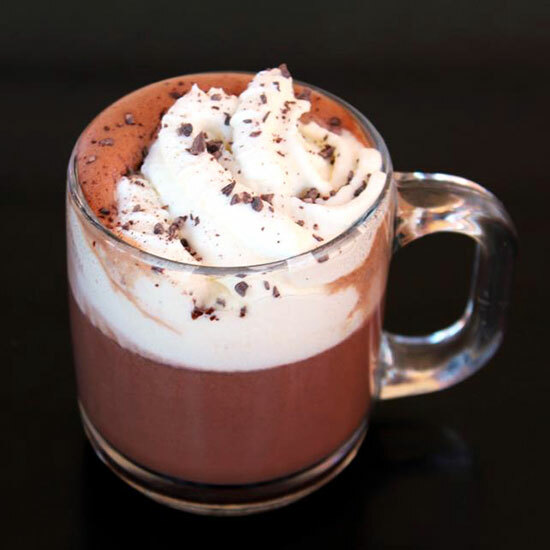 At his 2,500-square-foot bakeshop in New York’s SoHo, former Daniel pastry chef Dominque Ansel uses Valrhona dark chocolate in the base and the whipped-cream topping of his Chef’s Hot Chocolate. He also serves delicious French sweets, like made-to-order madeleines, and sandwiches including a gooey grilled cheese on homemade garlic-rosemary sourdough. Insider’s tip: The best tables are in the glass-enclosed garden, which is open year-round. Pastry chef Jacques Torres left Manhattan's famed Le Cirque in 2000 to open his own chocolate factory. Torres now runs a chocolate empire that includes eight NYC outposts. 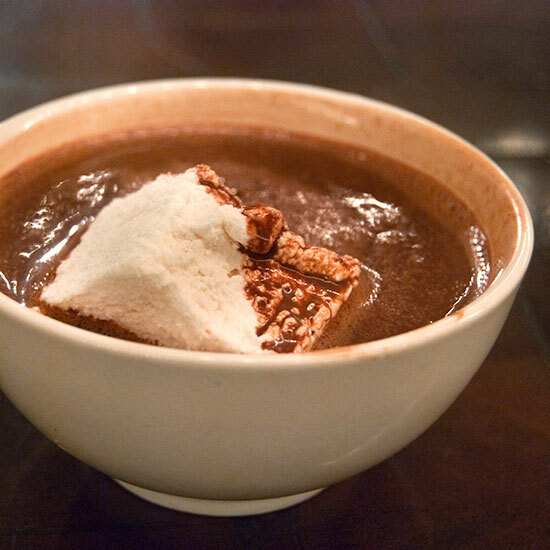 Each location serves his Wicked Spicy Hot Chocolate, flavored with ground ancho and chipotle chile peppers and loved by Food Network star Giada De Laurentiis. Huckleberry co-owner and pastry chef Zoe Nathan has the zany, freewheeling air of a person on a permanent sugar high. "It's a huge pastry playground," she boasts of the bakery that she owns with her husband, Josh Loeb. 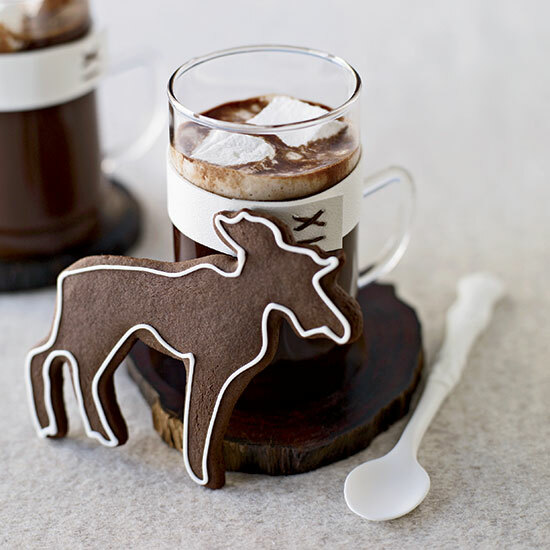 She makes Valrhona syrup for her hot chocolate, an extravagant accompaniment to fabulous baked goods like salted-caramel bars with a buttery crust. San Francisco chocolatier Michael Recchiuti creates market-driven truffles and fun, homey chocolate desserts like Quadruple Chocolate Brownies. 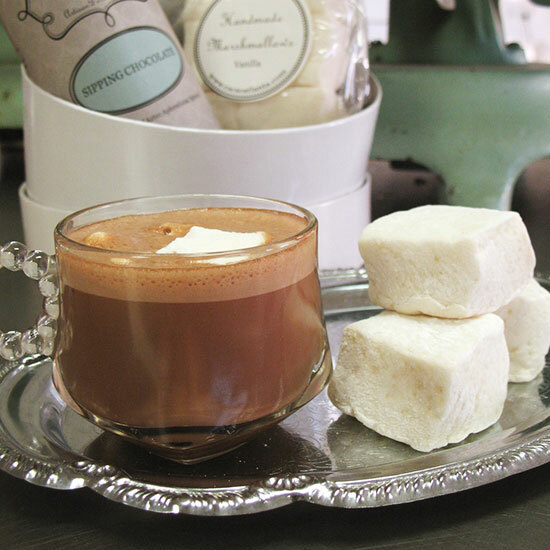 His Ferry Building location also sells hot chocolate made with dark chocolate pistoles (disks) and topped with vanilla-bean marshmallows. The lines are always long to get into this kitschy, dessert-focused restaurant once frequented by Andy Warhol and made more famous by its namesake John Cusack movie, Serendipity. 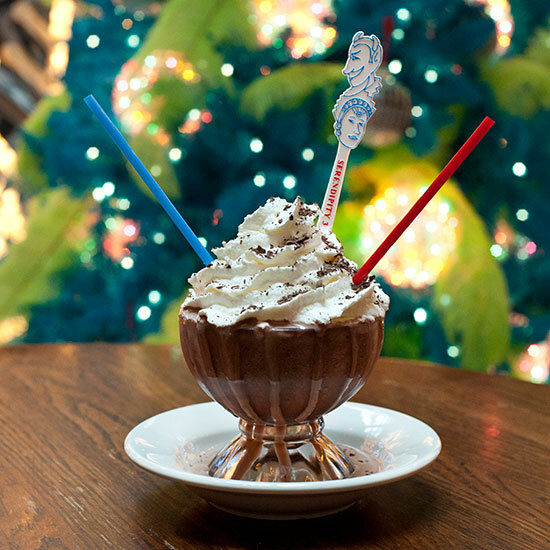 Besides over-the-top sundaes, Serendipity is known for Frrrozen Hot Chocolate—a glass bowl of blended icy chocolate served with homemade whipped cream, chocolate shavings and a straw. Is it actually hot chocolate? That’s for you to decide.